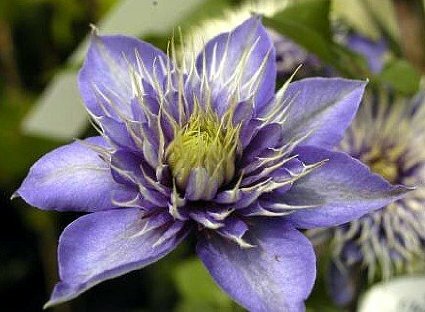 Navy-blue to pale purple, rounded fully double flower. 5" in diameter. Sun to partial shade in moist, fertile soil. Likes a warm top and cool bottom. Will flourish under neutral or even slightly acid conditions. Great climbers that can be used to decorate pergolas, sheds, garages, fences and even trees.